In ?The End of Faith?, Sam Harris delivers a startling analysis of the clash between reason and religion in the modern world. He offers a vivid, historical tour of our willingness to suspend reason in favor of religious beliefs-even when these beliefs inspire the worst human atrocities. While warning against the encroachment of organized religion into world politics, Harris draws on insights from neuroscience, philosophy, and Eastern mysticism to deliver a call for a truly modern foundation for ethics and spirituality that is both secular and humanistic. Winner of the 2005 PEN/Martha Albrand Award for Nonfiction. An analysis of the disparity between faith and logic in modern society examines the willingness to challenge religious-based belief systems throughout history. A very thoughtful and important book, which has become even more so since it was published, even if a little too much of the book is on (the side topics of non-religious spirituality and consciousness). It is gratifying in a way that, at last, public opinion is turning away for the mindless political correctness which has made any criticism of religious faith and religion (particularly Islam) inadmissible, and becoming conscious of the threat that Islam poses to Western civilisation, even to its very existence. Thanks, Sam Harris. May you be more widely heard. Ill try to keep this short rather than delve into a self-indulgent synopsis. Sam Harris possesses a profound intellect and any case he cares to make is further lubricated and reinforced by easy reach to a collosal vocabulary and a pretty way with words. Whether by accident or design, as a result of this book, he has forged a career, at least in part, specialising in morally lambasting and dismantling organised religion. Check him out on YouTube to see him in action as an entertaining and thought provoking public speaker and debater of considerable prowess. This book is not easy bedtime reading and goes deep into the threat that organised, or indeed any religion poses to and inhibts our civilisation. It's not likely that you'll pick this book up if you're a head-banging bible or koran thumper, you're already most probably a lost cause but if your on the cusp of questioning your own faith or would enjoy to have your atheism or secularism reinforced with stinging logic then read it. I've given this only four stars simply because in one or two areas, for me at least, he goes a bit too far into the fringes of what makes religion tick in the human psyche but there's some profound stuff in here that badly needed to be said and it's well worth delving into. I read this book after hearing Sam Harris take part in debates on the subject of religion. As was said of the late Christopher Hitchens, people who consider it worthwhile trying to get the better of Sam Harris in a reasoning contest are best to give up! Religion, especially Islam, is the big debate in today's world, and this is an important contribution from one of the foremost debaters on the subject. Somewhere in a parallel universe, there is a world which is governed according to rational ideals and which is free from the dogma and superstition of religion. 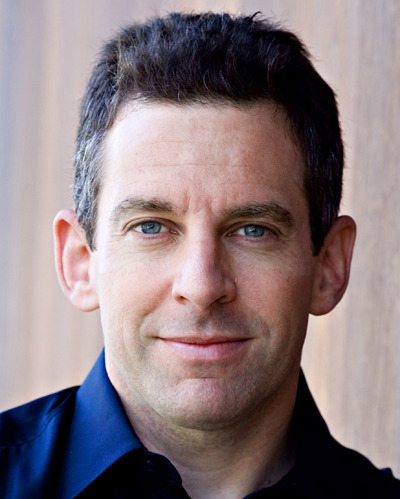 On that world, Sam Harris is president. Anyone who has even just a niggling problem with organised religion and its effect on the world should read this book. Anyone who doesn't definitely should. Twice. 5.0 out of 5 starsA wake-up call. As usual for Sam Harris, it is a well-researched, intelligently written, passionately argued text on a wide range of issues centring around, as the title suggests, religious faith and fundamentalists. In places, because of the nature of the subject and the paucity of detail, one has to employ the same faith. Over one hundred pages of the three hundred and thirty-seven are devoted to supportive footnotes and other references. Harris always writes fascinating texts which make one think. Under a provocative title, he has done the same here. 5.0 out of 5 starsYou must read this, we all must. Sam Harris has said all the things we are afraid to say and in fact we are discouraged from voicing in any way shape or form. This isn't a life changing book in any sense but it is a truism that cannot be denied. Its about time we all stepped back and pondered the issues covered in this book. If the human race is to survive we must pay attention to the realities painstakingly investigated and evaluated in this book. Its time for change. 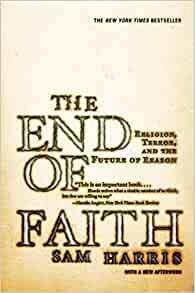 This is a very thoughtful and balanced account of the dangers of extreme religious views to world peace and stability. Well written, sensible chapter headings and good background referencing.